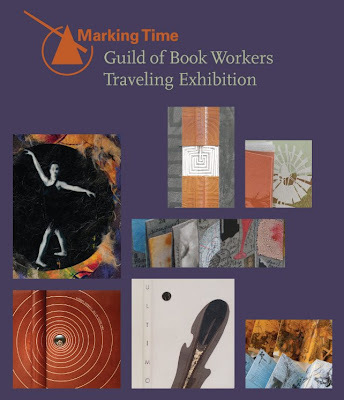 Handmade in Alabama was chosen to be included in the National Guild of Bookworkers traveling juried exhibition Marking Time. The book set was also featured in a gallery talk by the Guild of Bookworkers exhibitions chair and internationally known book artist Karen Hanmer. Marking Time opened at The Minnesota Center for Book Arts on May 15, 2009. The exhibition will travel to nine venues across the US from May 2009 until March 2011. The exhibit was recently reviewed by Mary Abbe in the Minneapolis Star Tribune : Fifty handmade books explore the theme of time with verve and cunning.